With the warming weather and spring flowers blooming, we only have two things on our mind: finding the perfect Mother’s Day gift and finally being able to rosé all day!! Luckily for y’all, we have the perfect solution to both Mother’s Day and rosé. Mother’s Day is just a couple of weeks away, and we’re excited to have the perfect Mother’s Day gifts (some of them rosé related) available to shop on our website!! First, let’s talk about our brand new ginger jar themed items! Ginger jars have always been one of our favorite design inspirations, and with all of the ginger jar themed parties we’ve done this spring…our clients seem to like them too! So for Mother’s Day, we’ve debuted a new line of personalized ginger jar items. We’ve updated this classic design for spring with bright spring flowers and bold stripes. 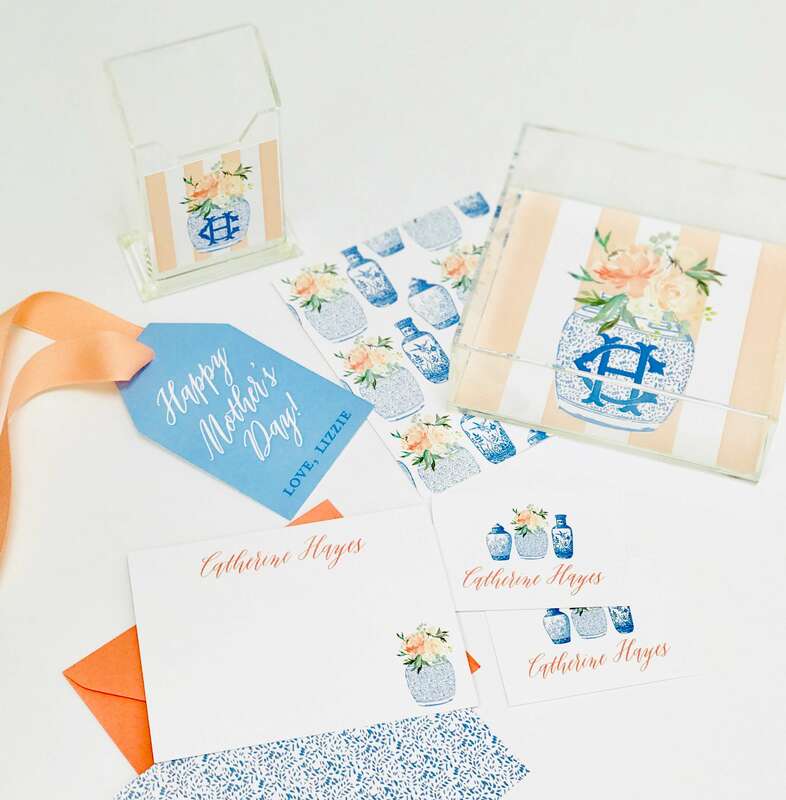 We are so in love with our entire line of ginger jar goodies, but we think our Floral Ginger Jar Gift Set makes the perfect gift for Mother’s Day!! Each gift set is only $60 (the perfect price point for Mother’s Day!) 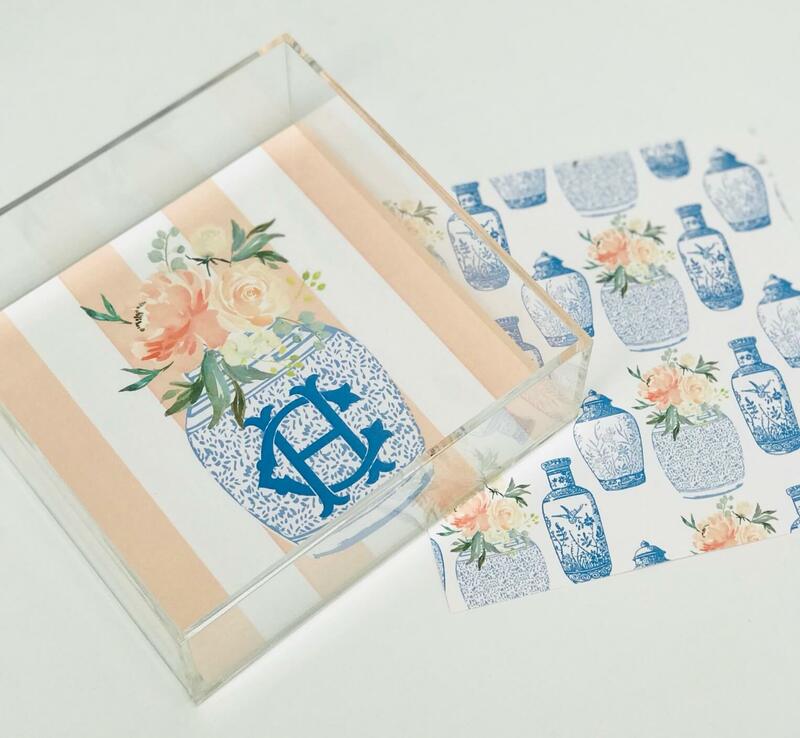 and includes 20 Floral Ginger Jar enclosure cards, our Floral Ginger Jar Stationery, and swanky lucite items including our Floral Ginger Jar catch all and pencil holder! These items are packaged inside a cellophane bag with ribbon and a personalized gift tag. How easy is that?! To make things even easier, we’re also able to ship directly to the special lady in your life if you’re not able to be with your mom, mother-in-law, step-mom, grandma, etc. on Mother’s Day! Shop our Floral Ginger Jar Gift Set (and all of our other Floral Ginger Jar goodies) now!! A close up of our Floral Ginger Jar Stationery! 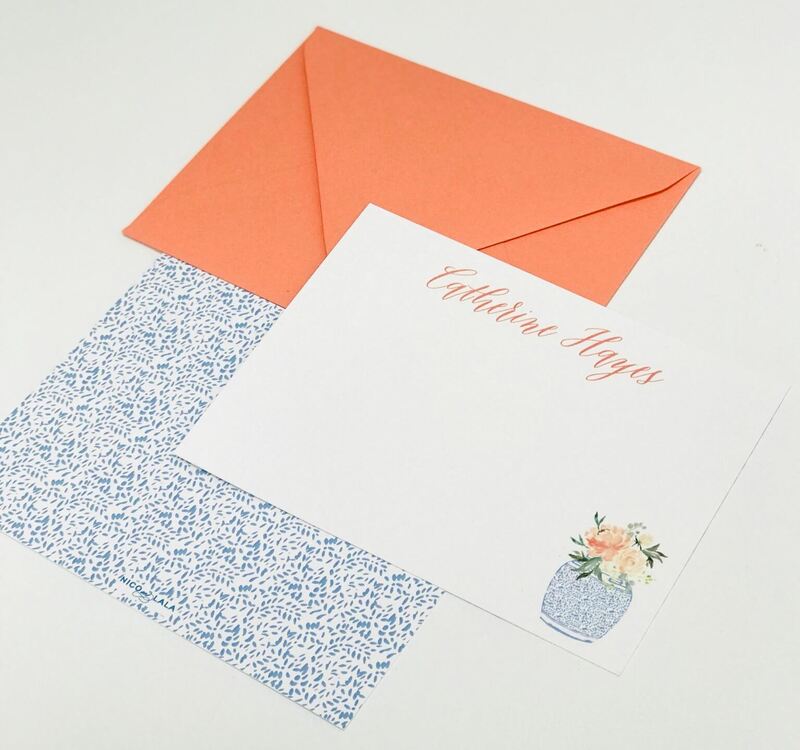 This stationery set is available for purchase on its own, and is also included in our bundled Floral Ginger Jar Gift Set. Our reversible Floral Ginger Jar Catch All features a monogrammed ginger jar on one side, with a repeating floral ginger jar pattern on the other. This item is available for purchase as is, and is also included in the Ginger Jar Gift Set. If your mom is more of a “rosé all day” type of gal, we also have her covered!! As fellow rosé enthusiasts, we’re excited to introduce a whole line inspired by our favorite pink drink. 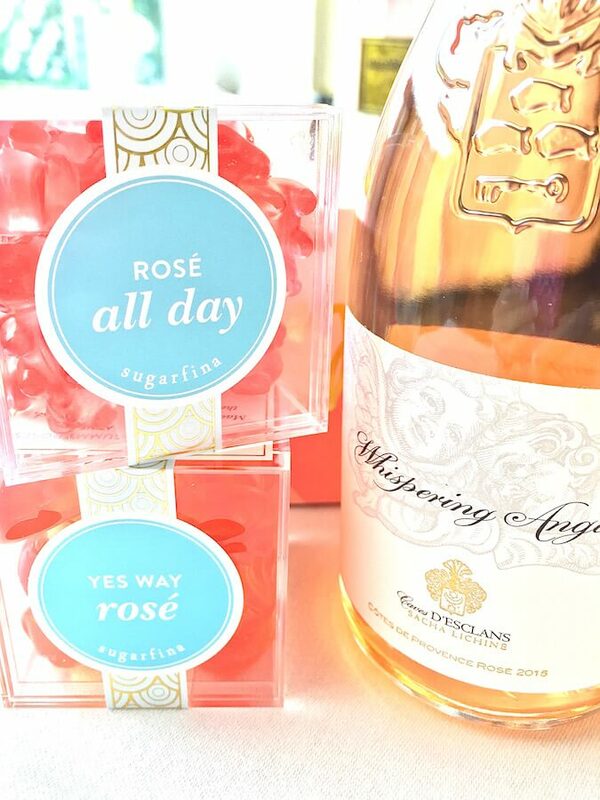 Our “Rosé All Day” line includes Rosé Gift Wrap, Rosé Wine Gift Tags, and even Rosé Stationery!! Long gone are the days of picking out the perfect bottle of rosé only to have no other option than to gift it with a generic gift tag or bag from the store. Hello rosé all day packaging items to be the cherry on top of your rosé gift!! How adorable are our Rosé Wine Gift Tags?! The tags come in a set of eight, and feature four different designs (two tags of each saying). Each saying is rosé themed (of course!) and will work in a plethora of rosé-gifting situations. 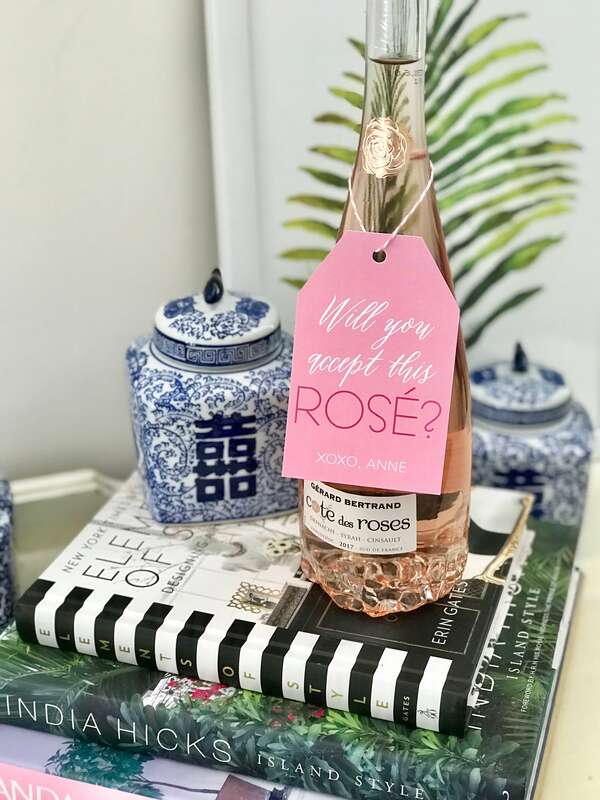 From a break-up bottle of rosé to a hostess gift of rosé, our personalized Rosé Wine Gift Tags will keep your gifting punny and fun, all summer long! Make sure to shop them here and to read all 4 sayings! 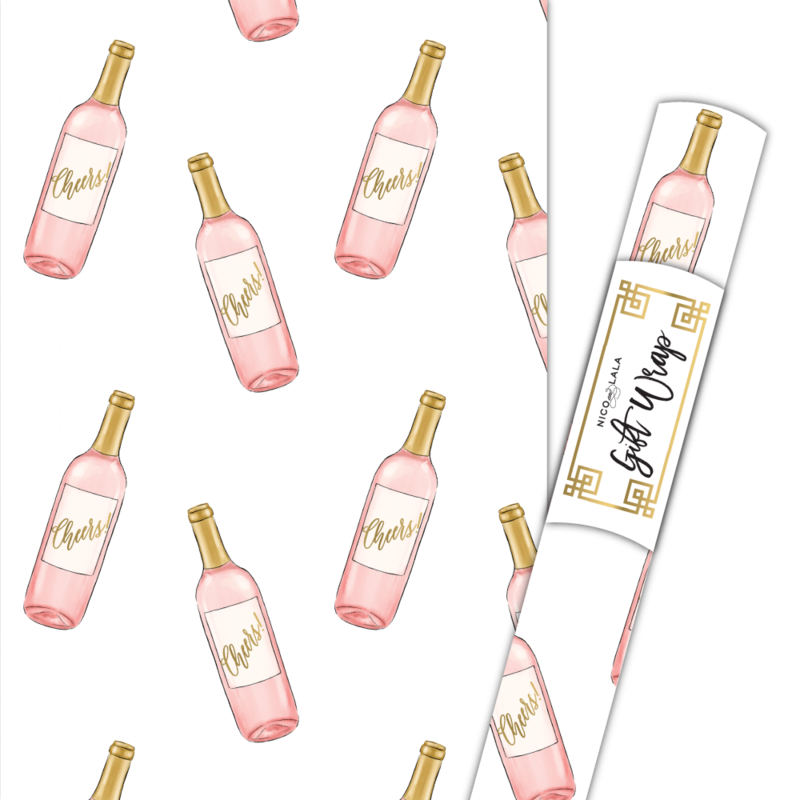 Don’t forget the rosé all day wrapping paper to wrap your Mother’s Day rosé!! While what you choose to gift inside this rosé packaging is entirely up to you, we have some ideas of our own!! Starting with N&L’s favorite bottles of rosé! First up, the most iconic (and enjoyable) rosé: Whispering Angel! Whether we’re sipping rosé on a boat, on a rooftop overlooking the city, or on our own patio…we always enjoy a cold glass of Whispering Angel. It’s an easy pick for our #1 bottle of rosé! When picking rosé, Lauren reaches for this swanky bottle of Gerard Bertrand Cote des Roses Rosé. Not only is the taste light and bright, but the bottom of the bottle is shaped like a blossoming rose. To add to this pretty bottle, the top is also sealed with a unique bottle cork! 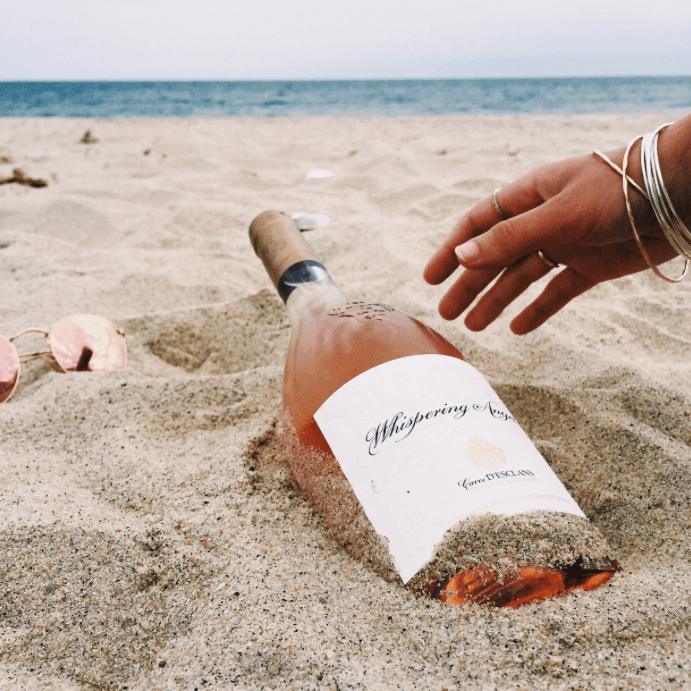 How delighted would you be to gift (or better yet…receive) this bottle of rosé? When Nicole is looking for a pink drink to gift…she looks for something light in color with a fun label (because DUH she’s a designer!). 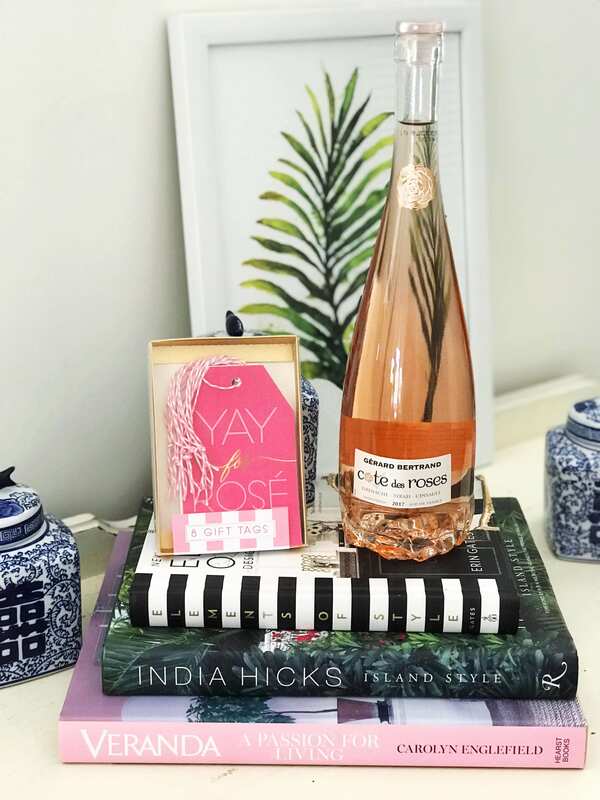 She recently picked up a bottle of Yes Way Rosé for a friend’s birthday and we can’t help but love everything about it. 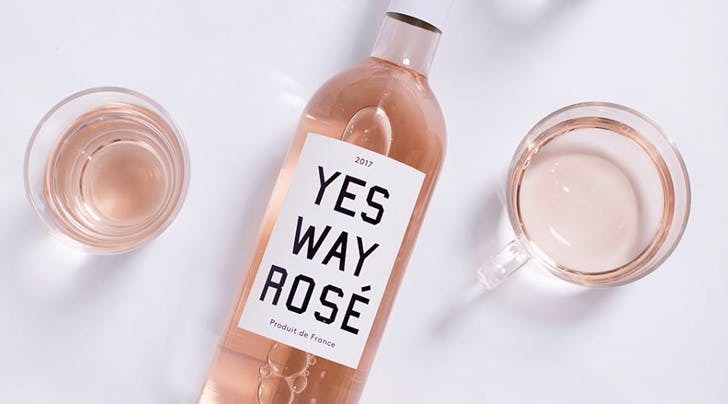 It’s a delicious rosé, and is the brainchild of two best friends who started the Instagram account Yes Way Rosé. It’s sold exclusively at Target, which makes it easy to grab on your way to party this summer! Looking to take your rosé themed gift to the next level? We have a couple of additions to really up the ante. Starting with our adorable Rosé All Day Stationery!! 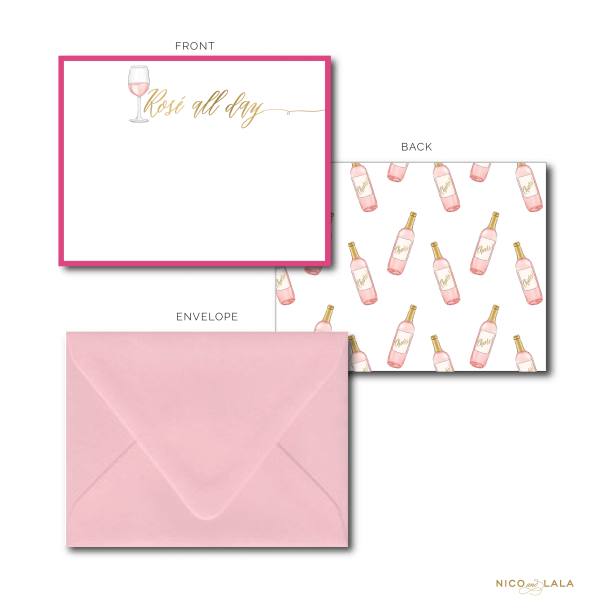 Made especially for the rosé lover in your life, our stationery set features a beautiful watercolor glass of rosé on the front, and a fun pattern of rosé bottles on the back! Bonus: it perfectly coordinates with our Rosé All Day gift wrap making it the ULTIMATE addition to a rosé gift!! We can’t think of a rosé themed gift without thinking of the Rosé All Day Bears from Sugarfina!! Infused with Whispering Angel rosé, these boozy gummy bears are available in a couple of different varieties (including the original, baby bears, and sparkling bears). These bears not only look adorable, but are the perfect sweet treat. So whether you’re in the mood to rosé all day or shop for Mother’s Day…we have you covered!! Cheers and happy shopping!